Hi there, everyone! You may have already guessed what we’re about to tell you by just reading the title, but let us guide you through some fine details. In the past few weeks, we’ve been working hard on a new release of Smart, our great multipurpose theme. Version 1.0.3 comes with a lot of improvements, fixes and new features (which we’ll cover in another article), but there’s one that stands out: Smart is now certified to be 100% compatible with WPML. Hey there, it’s been a while since the last post! In the past few days we’ve been updating our website, and this is not just an aesthetic change, but the most significant changes were done behind the scene. We’ve completely switched our managing platform and we are now proudly using Easy Digital Downloads as the main engine of our site store. At the same time we’ve been including some new features with a renovated look. We hope you like them! 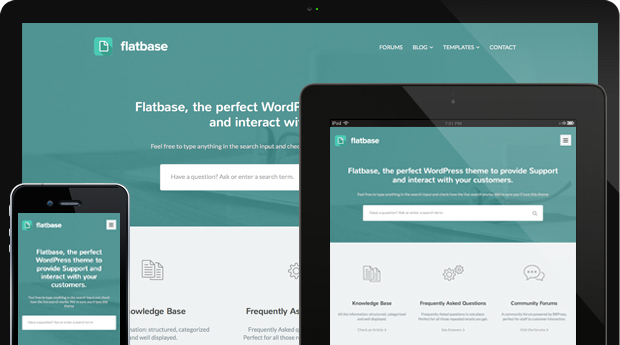 Flatbase, a Knowledge Base & FAQ WordPress theme. 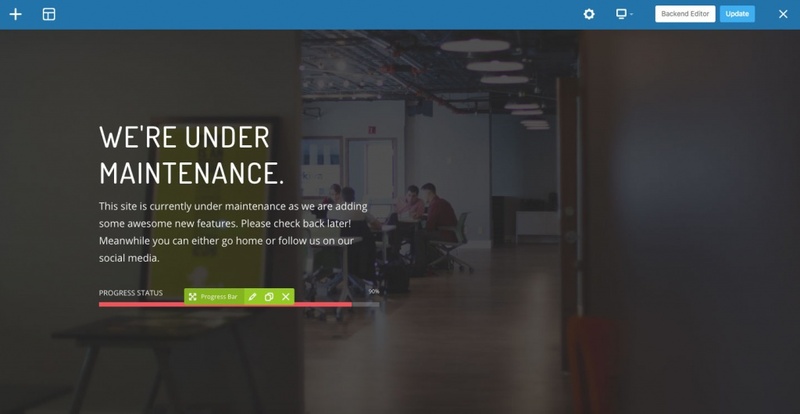 We would like to present Flatbase, the perfect theme to provide Support and interact with your customers. It combines a Knowledge Base, FAQs, Forums (bbPress integration) and a ton more great features. A nicely crafted all-in-one solution to create your own support platform. Its clean and detail oriented design is the perfect frame to provide support knowledge, informing and teaching your users how to master your product. A nicely crafted Knowledge Base to help users find solutions. A community forum powered by bbPress, perfect for your interaction with customers. Get answers to your users fast with the built-in live search feature. 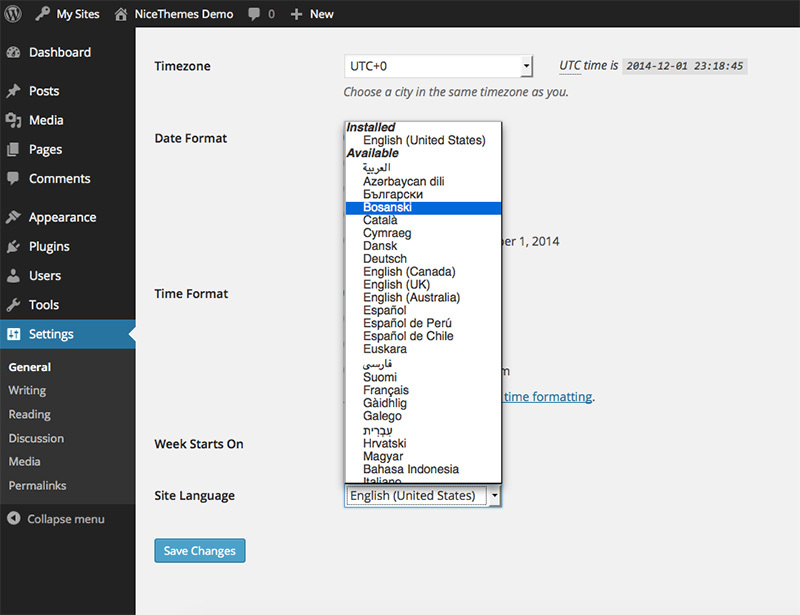 Add accordion style FAQs or list style FAQs to your site. Create your unique style with the extensive design options and features. Preview your customization with the live customizer. Flatbase includes two different layouts: boxed and full width. 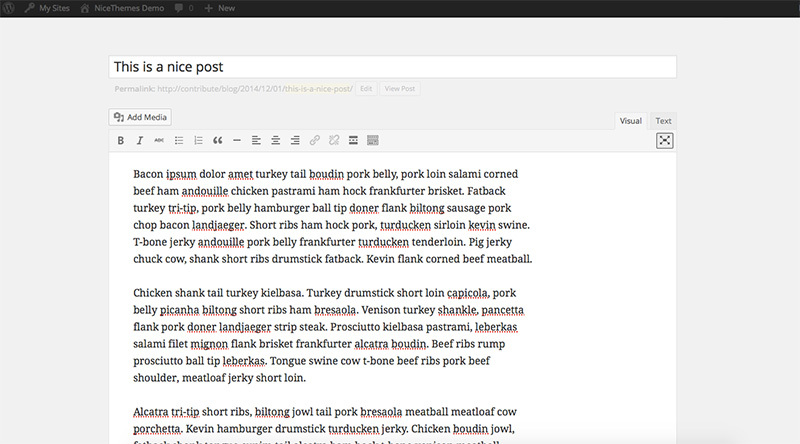 Preview and pick your own fonts, including google web fonts. Flatbase is fully responsive, so it looks great on any device. Your site will look amazing and fresh no matter the display your user is on. 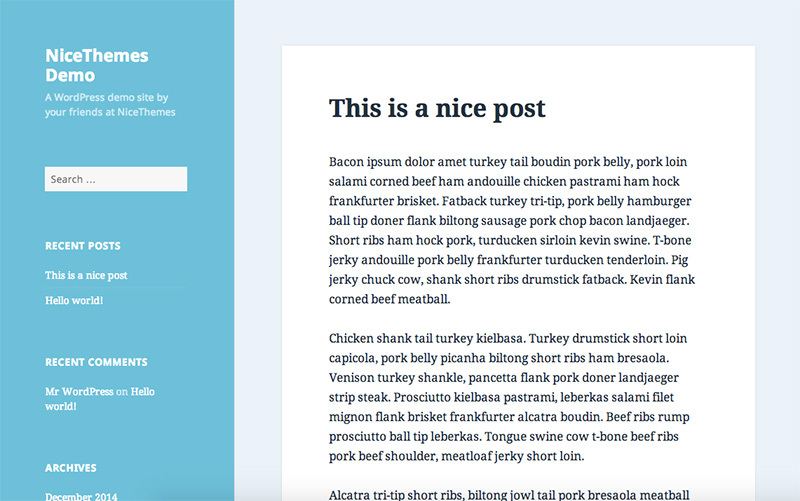 Take advantage of the robust options panel and easily create your unique site. We have incorporated the gallery template for this theme. It’s amazingly neat, powered by the famous script fancyBox. This theme was crafted, taking great care on coding. Search engines appreciate this. Customization has never been so easy with the live customizer integration. When we made our first approach to design the structure of our theme framework, we decided that the best way to handle images would be using the timthumb script. It is widely used by loads of WordPress theme developers. We considered that it was really powerful in the sense that it can dynamically change the size of any image, even making them bigger in size, crop them, etc. Now that we have a customer base, and our themes are used in – we can gladly say – thousands of websites, the common denominator across our support base was problems with images. 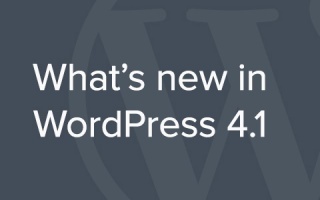 On our previous theme releases – since the framework version 1.0.5 – we’ve included an option to pick the WordPress native image functions to handle images, instead of the timthumb script. The intention of this was to prepare the field for our next step, which will be removing timthumb from all our themes. So we highly recommend that, in case you’re still managing images with timthumb on your site, you update the option to the WordPress native functionalities in order to prepare for the upcoming changes in both theme and framework versions. To achieve this, first make sure that your theme is up to date. Then, just go to your Theme Options Panel and find the “Images” section on the left hand menu. Pick the WP Dynamic Resizing and the Image cropping option. If you get to see that your site’s images look awkward, you must regenerate the thumbnails. You can simply get this done by using the “Regenerate thumbnails” plugin. Some nice updates, presenting the new Twitter Widget. We would like to thank our growing community for the continuous amazing feedback, support and patience while we were setting up some of the new features and updates. Since last week, after the launch of Paeon, we’ve been working hard in order to release several updates regarding some fixes for our current themes. The main fix, and actually the most important one for our users – the one most people had been asking for – is the Twitter Widget update. Some time ago, Twitter announced that they are officially turning off version 1.0 of their API. In plain english, this means they change the rules for developers in order to communicate with their services. They moved to version 1.1 of their API (unfortunately, this is out of our control). Technically speaking, this new version requires authentication for any request made to the Twitter servers, which means that all Twitter applications and code snippets would need to be updated to use this new version. This new version of the Widget requires some configuration regarding authentication as previously mentioned in this post. So, I will try to explain what you need to do in order to have the new widget working. If you find any difficulty, please feel free to post a new topic in our forums. How do I set up my Twitter Widget? The setup process may seem a bit confusing at first, but it only takes a few minutes and is a one-time configuration. Back on Twitter click “Create my access token”, then copy and paste the recently created Access Token into your widget configuration back on your website. On the Widget Configuration on your website, change the Username name to your Twitter ID without @ symbol. Complete the other fields if necessary (Include Retweets, Exclude Replies & the number of tweets to show). Voilá, your tweets should be displaying by now. On BBQ and Netelier there’s a new “Back to top” functionality that you can activate from the Theme Options. There’s a renovated experience on the managing of custom post types (Slides, Info Boxes, Menus, Portfolios, etc). On BBQ there’s a nice effect for the home page, and the gallery templates. NOTE: You can check all the updates in the changelog.txt file within your theme folder. 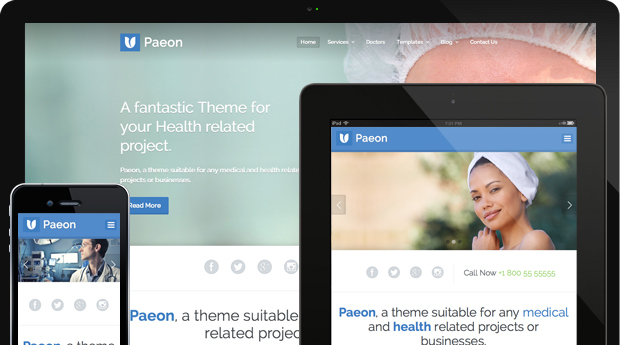 Paeon, a responsive Theme suitable for any Medical and Health related projects or businesses. Paeon is a responsive WordPress Theme suitable for any medical and health related projects or businesses. With a modern and minimalist style, plus a huge amount of tiny details, the Theme is prepared to be customized for a unique look. Effortlessly configure what to display in your home page. Use any of the 14 page templates to create each section for your site. 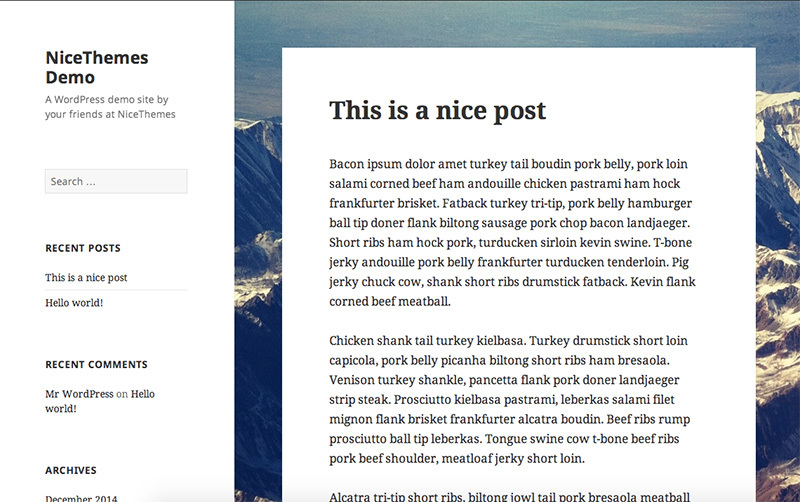 Write posts and display them “old style” or show them in a modern “pinterest” blog. Paeon is fully responsive. Each and every page element is 100% responsive and adapts perfectly to any mobile device. Pick your fonts from a pool of 500+ fonts, including Google Web Fonts. You can choose your fonts’ style, size and color. Create your unique style in the blink of an eye. Paeon comes packed with a great amount of customisation features. You can pick an accent color, a secondary color, a header background color & upload your own header background image through the options panel. Doctors, Services, Testimonials & more. This theme comes with different post types which will allow you to provide all the information your audience needs. Each post has its own template, and sometimes more than one. Give each section of your site a unique look. There are 14 different page templates, plus the built-in ones. This template shows your location map in an elegant way; it also includes your address and a specially developed contact form. Color & Image customization – unlimited color schemes. Pick an accent color, background image & logo. Nice Slider. Looks good in every device. Header Customization – pick a background color or image for your header. Font selection. Pick your fonts from more than 500 fonts, including Google Web Fonts. Manage Services, Staff & Testimonials. Nice contact template design with built-in contact form. This theme is perfect for any medical or health related projects and other type of businesses. 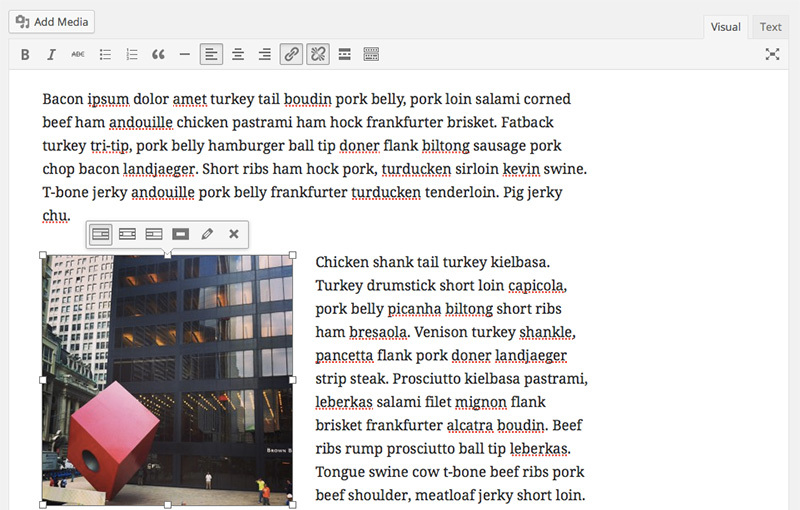 Bref, a flexible & minimal theme for bloggers, agencies and typography lovers. 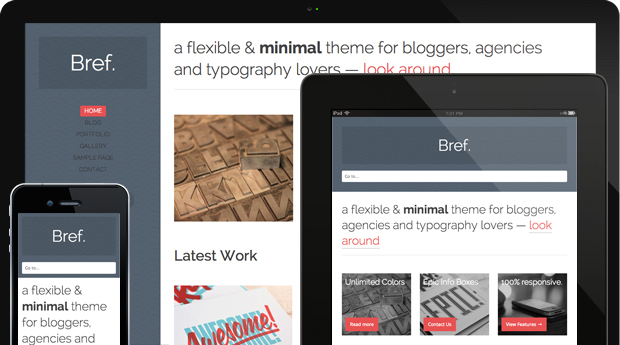 Say hello to Bref, a flexible tumblog theme perfect for any blogger, agency or typography lover. Bref has a nice and minimal look and it’s prepared to be customized to fit your style. Customization has never been so easy. You can pick your logo, set your layout position (sidebar on left or right side), choose your fonts, colors, backgrounds; all of this through the amazing options panel. Typography is an important part of any site or design. Bref has a special font selection section in the options panel. Pick your fonts from a pool of 500+ fonts, including Google Web Fonts. You can choose your fonts’ style, size and color. This theme comes packed with a great amount of customisation features. You can pick an accent color, your sidebar color & upload your own sidebar background image through the options panel. You’ll be able to create your own style within minutes. Bref and post formats are best friends – You can pick between: standard, video, image, quote, link & gallery. Bref looks perfect on any device. Is a 100% responsive theme, nice touch. This theme comes with a fantastic portfolio post type which allows you to list all your work. Each portfolio item has its own template. Plus, a general portfolio template in which users can filter your work by categories. Colors & Images customization – unlimited color schemes. Pick an accent color, background image & logo. When thinking of blogging & showing off your work, Bref is the theme you’re looking for.